Research common water problems in your area – You can find this info on the EPA website. Check out your state’s well water regulations and recommendations – Contact your local health department for your state’s policies and guidelines on water testing. Determine if your well was drilled by a professional – Fingers crossed it was as this will be your best bet to keeping a happy well for years to come. A drilled well will typically have a pipe sticking out of the ground with a thick cap on the end of it. If your well looks like it was dug or bored, you may consider putting in a new well with a drilling professional. Find out how your well was built through your well log or by contacting the builder of the home. This is the log that should come with the well, hence, come with the house. Consider it the well’s journal, detailing every service, every contaminate found, and basically the background of the well’s life (how it was built, how deep and old it is). To make your life easier, make sure your new property has a well log. If it doesn’t, access your well log through your state’s well log database. This may sound like a no-brainer but you’d be surprised at how often this slides by when it comes to living on a well. Testing the well should be on the top of the inspection list when purchasing a home. Hire a professional to do an in-home water test where they take a water sample from the tap to see what it contains. They’ll be looking for: PH, hardness, alkalinity, turbidity, minerals and bacteria. A thorough test will also check for volatile organic compounds. Nasty stuff that you want to avoid. Don’t forget to ask for a radon test too. This isn’t on the regular list, but is something you want to look out for. Not all contaminants are a deal breaker. Some are easily managed with various water treatment systems. Your water professional should be able to determine what’s best for you. Learn about contaminants and how to stay safe. Make a water testing schedule. 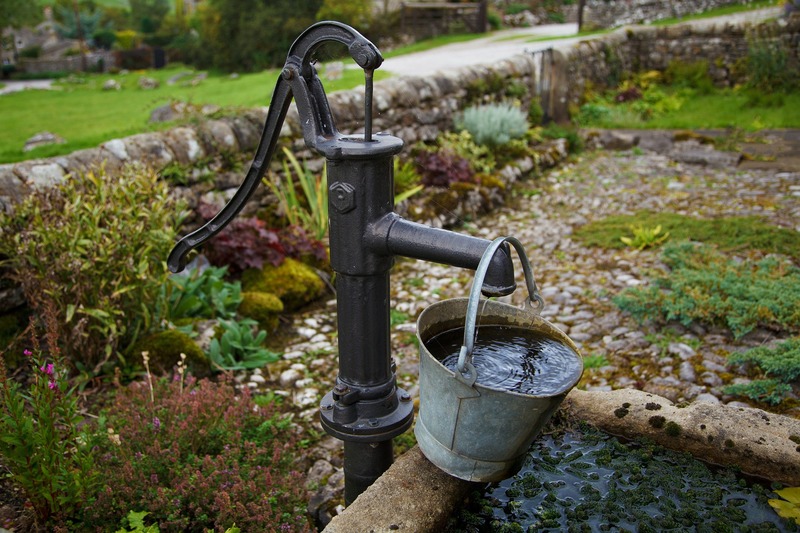 Once you’ve purchased your home and are living on a well, stay safe with an annual well test. Most well water should be tested once a year and is the responsibility of the home owner. Put it on your calendar to test around the same time each year so you don’t get off track. Make sure you keep a record of your results and place them on your well log. This will help you and your water professional stay on the same page and compare results year after year. We hope this guide helped put your weenie mind at ease. Living on a well doesn’t have to be scary with these simple steps. Remember, it’s the oldest and most natural way to access fresh, safe, drinkable water. With proper maintenance and testing, you’ll have peace of mind and a quality resource for years to come. Want to learn more? Check out these other questions you should ask when living on a well.